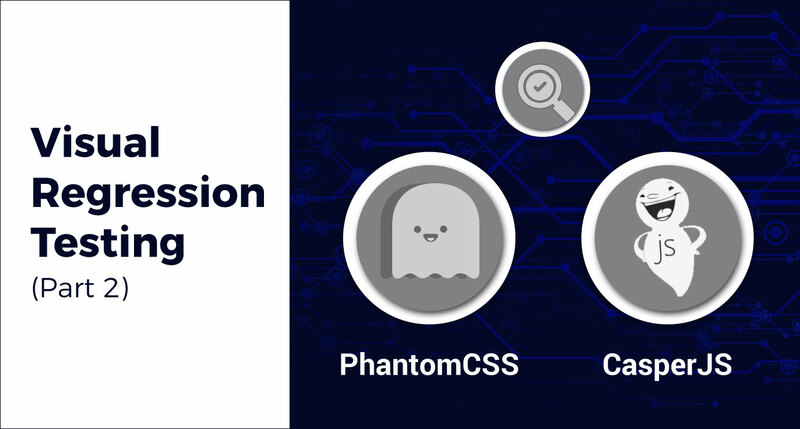 In the first part of this series, we discussed how to set up PhantomCSS and CasperJS, and we ran a basic test. In this part, we shall discuss each section of a CasperJS test, and customizing PhantomCSS, CasperJS and relevant functions required in basic visual regression tests. Below are the customizations and functions we will generally need in a test case. For a basic test structure, please refer to Part 1 of Visual Regression Testing with PhantomCSS and CasperJS. start() creates and initializes a Phantom web page instance, and initializes the resources array, history and logs. Generally, one should use start() first and then proceed to using the then*() functions family. Next, you can start using the then*() functions. Refer to http://docs.casperjs.org/en/latest/. thenOpen() will add steps to the stack. Add a wait function to allow the page to load completely before taking a screenshot for comparison. Here, 1000 = 1 second. By declaring the viewport size, we can take screenshots for different screen sizes (eg: iPhone, iPad, tablet, smartphone, etc). We hope you’ve found this post helpful. Leave a comment below if you have any questions!